F. E. Olds had long been interested in trying to improve his favorite instrument. He felt the slide and the bell could be improved immeasurably. With that improvement would come greater flexibility and better response – a new richness and tonal quality. So, in his home workshop, he began the careful and tedious hand work that soon began turning out the finest trombones the world had ever seen – instruments that attracted world wide attention and established him as the superior trombone craftsman of his day. The growing Olds company specialized only in trombones until the founder's son, R. B. Olds, joined his father. The younger Olds knew his father's genius should not be restricted to a single instrument, so soon thereafter, valve instruments bearing the illustrious Olds signature began to appear in the hands of the most famous artists of the day. As these artists began returning from California playing their remarkably superior instruments, the name Olds began to spread. And with fame came growth. To the present day, the Olds company has continued pioneering and refining the entire range of band instruments, from which every player has benefited. Olds was first to draw its own slide tubing…first to use an exceptionally strong, light, two-piece patented brace…first to use nickel silver tubing for slides…first to use a fluted slide to reduce friction. 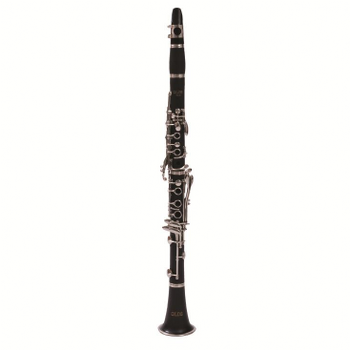 Famous Olds firsts include free bracing, widely copied in Europe and America, and professional-type valve springing on student trumpets and cornets.